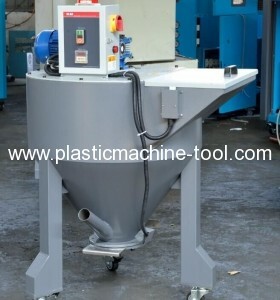 RM Series color mixer is mainly used for mixing plastics as raw materials, masterbatch and recycled materials. The mixing can be finished quickly and completely. The ideal structure and design make it easy for operation, and also easy for clean and maintenance. It is widely used in the industry of powder metallurgy, pharmacy, chemicals, foodstuff, ceramic ware and so on. All parts in contact with material are made of stainless steel to minimize material contamination. Vertically mounted blending knife ensure even mixing of materials. 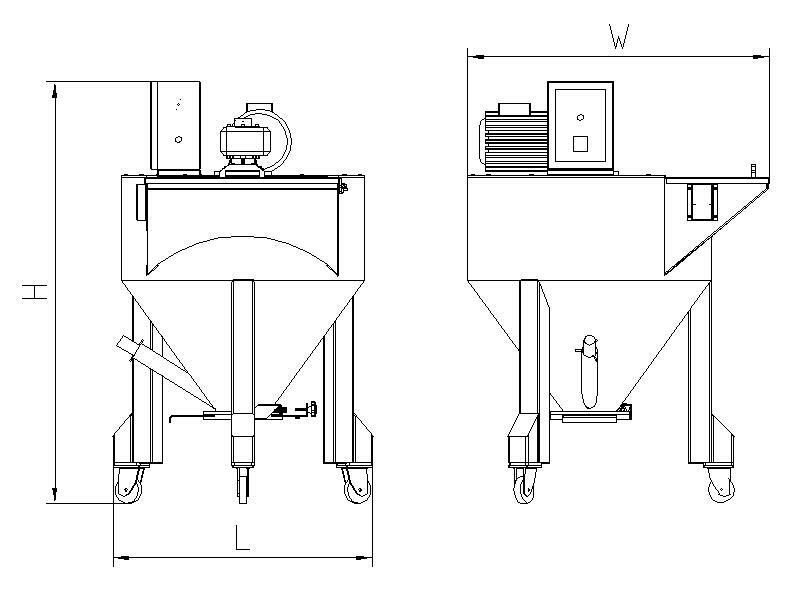 Function of feeding plus mixing simultaneously can save time significantly. Mixing timer able to set within 0-90 minutes. Equipped with safety interlock protective device to ensure operator's safety and no damage to the machine. Vertical structure with castor wheels, small footprint and easy to move. Vertical reducer motor adopted ensures low noise and long operation hours. 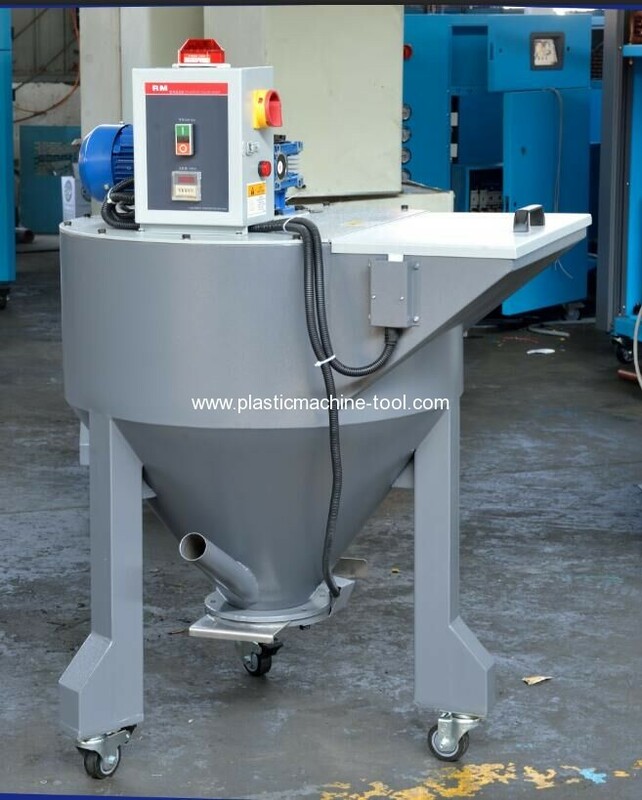 Fast complete mixing, low energy consumption and high productivity.